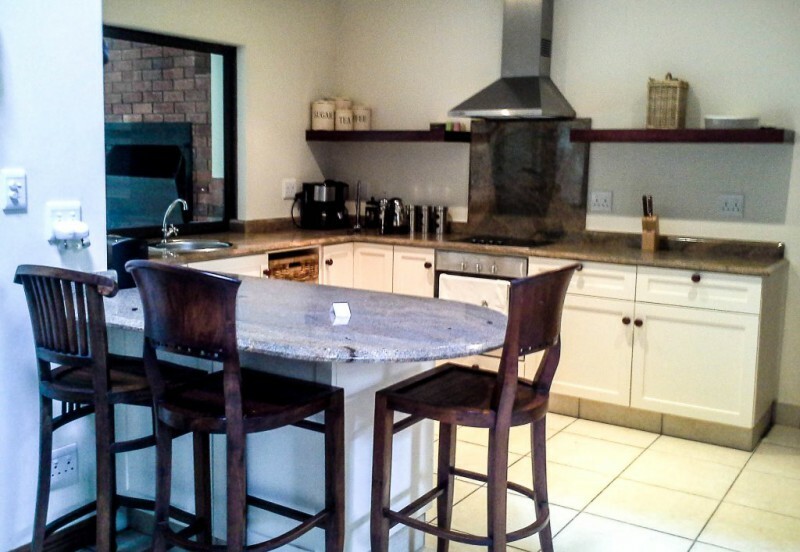 iMphithi Lodge is a gorgeous 3 bedroom, self-catering holiday Villa home situated in Selborne Park Golf Estate. 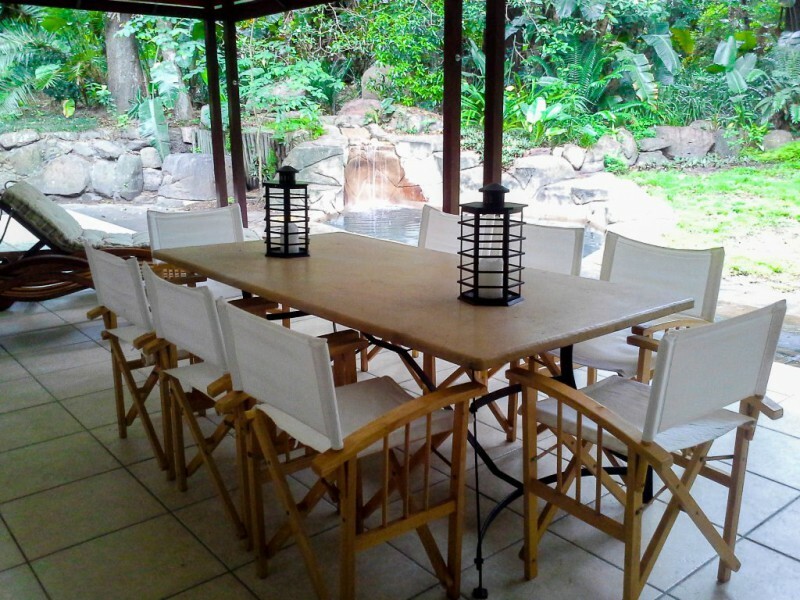 The Villa is fully furnished and equipped, has TV with full DSTV, daily cleaning services, a spacious private garden area with plunge rock pool and access to the Private Beach Club in Pennington. 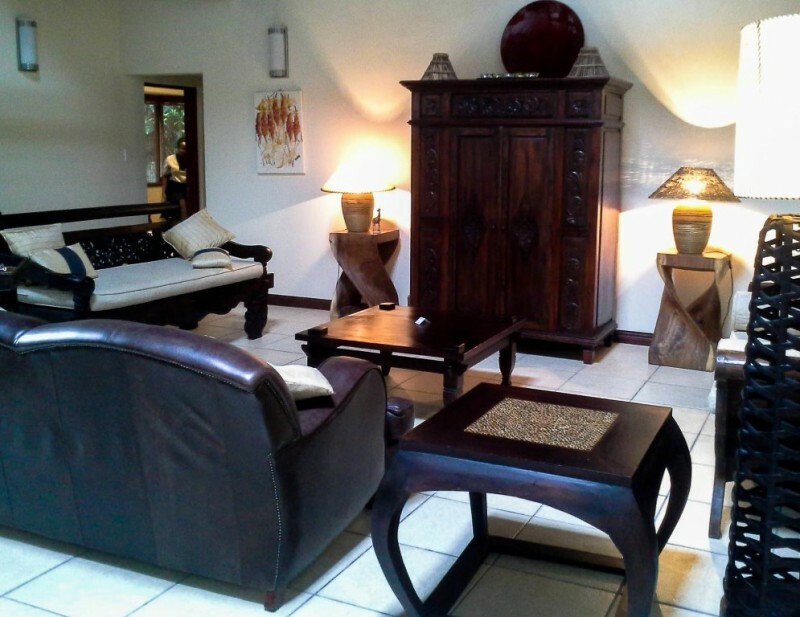 iMphiti Lodge is a 3 bedroom villa situated in Selborne Park Golf Estate on the South Coast of KwaZulu-Natal. 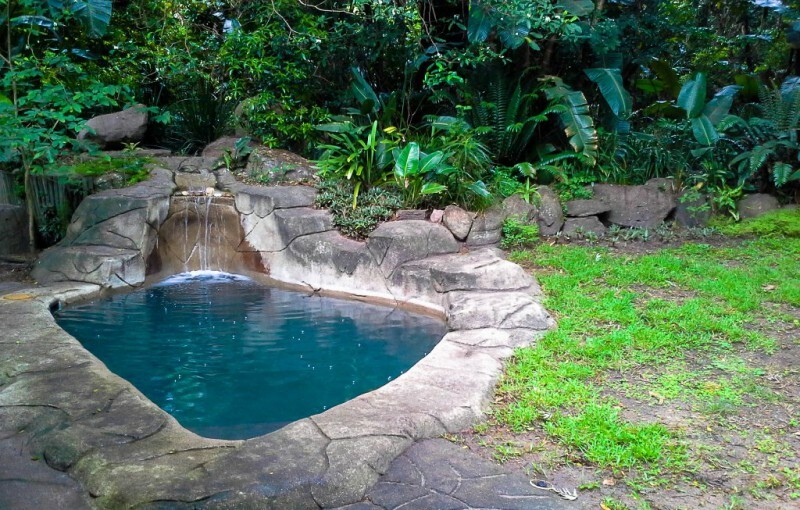 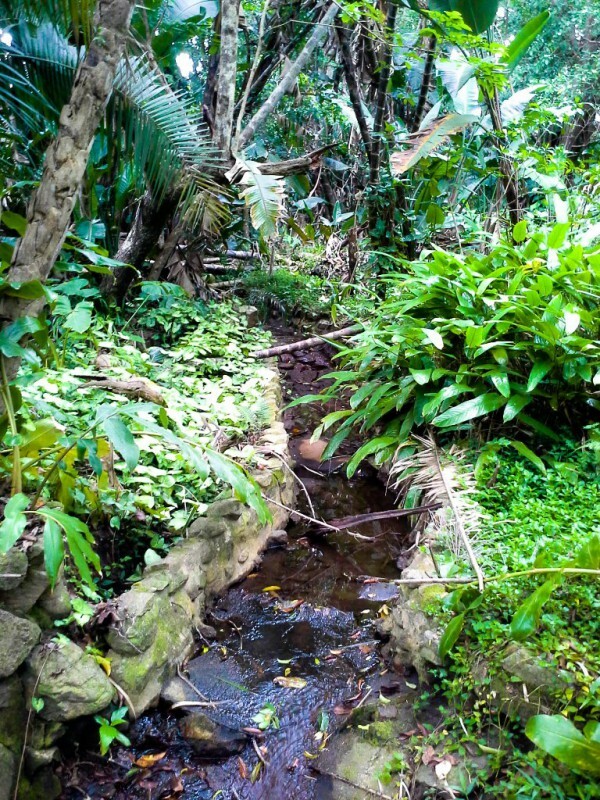 The garden area, surrounded by lush indigenous vegetation with a plunge rock pool and stream running through it, offers a feeling of complete relaxation and tranquility... A fanstastic early view to enjoy from the undercover, furnished verandah with built in braai area. 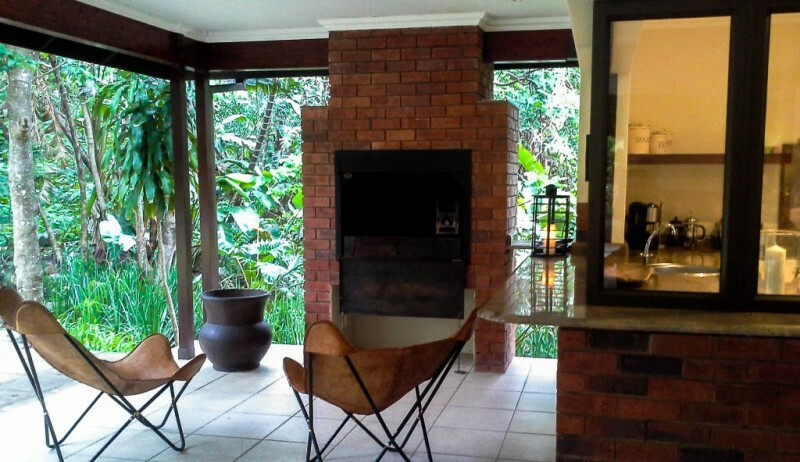 The open plan lounge is elegantly furnished in dark wood and has large glass doors that open out to the garden area. The dining area, off the lounge, has an eight seater dining room table. 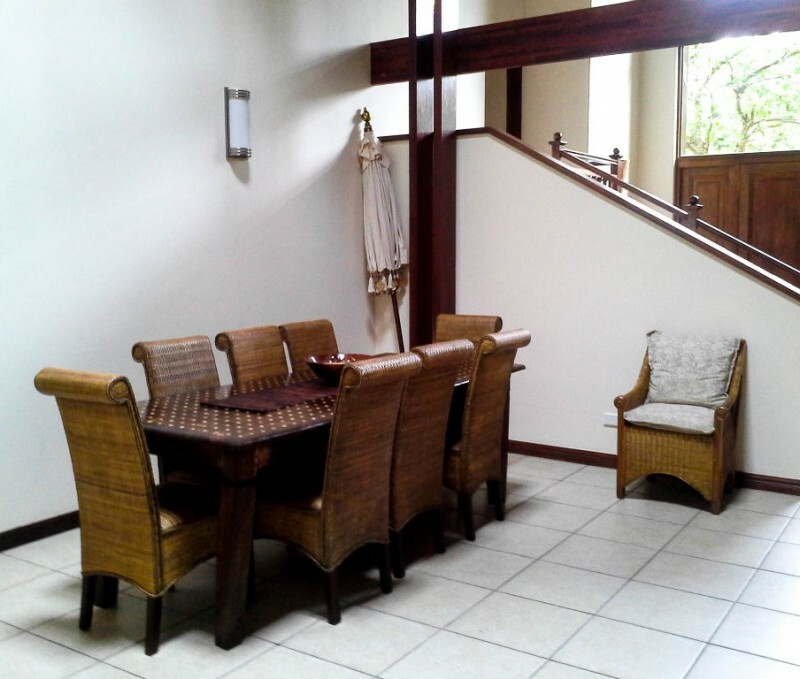 Semi-divided from the lounge & dining area by a small breakfast nook, the spacious kitchen with beautiful marble counter tops leads out to the braai area on the verandah and is fully equipped for all your self-catering requirements. 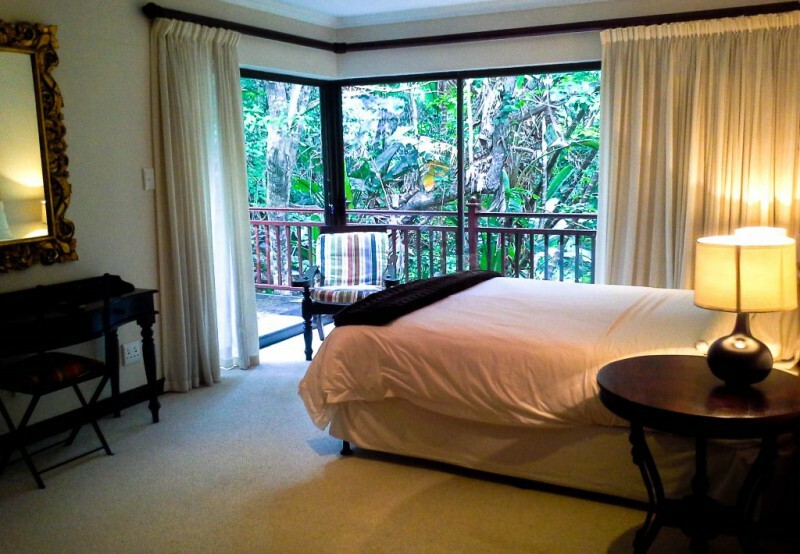 An expansive main bedroom is situated upstairs and features it's own "Juliet" balcony with glorious views of the surrounds. 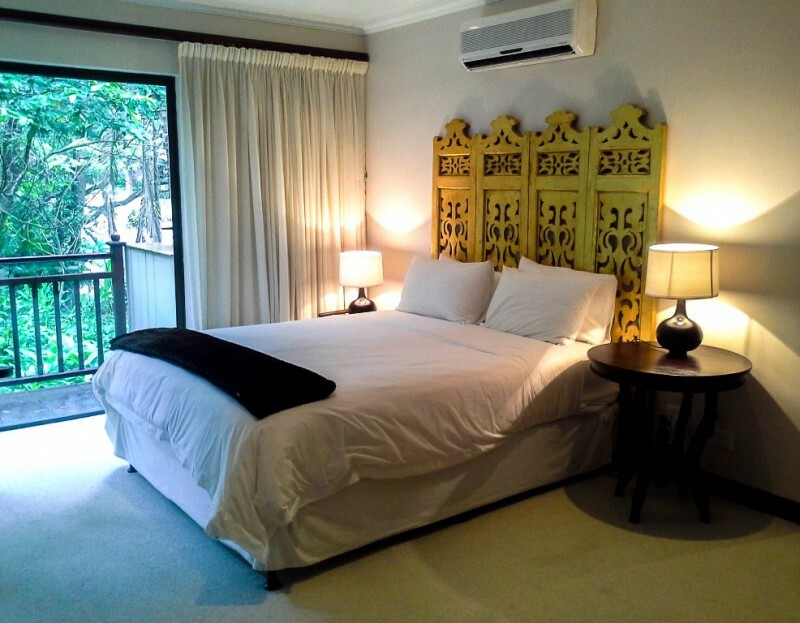 This bedroom has a double bed, overlooking the balcony and is en-suite with an elegant stand-alone bathtub and large shower. 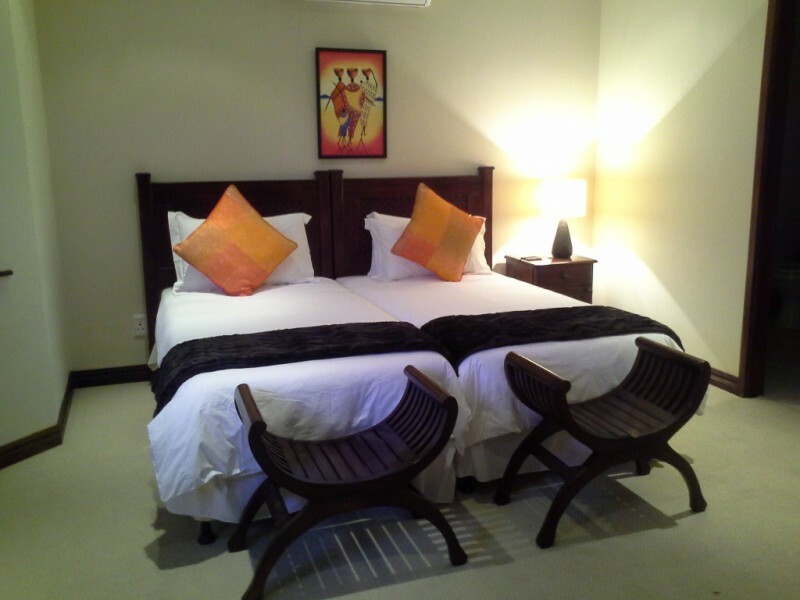 The second bedroom, downstairs, is decorated in dark wood with highlights of burnt orange, has twin beds and is en-suite. 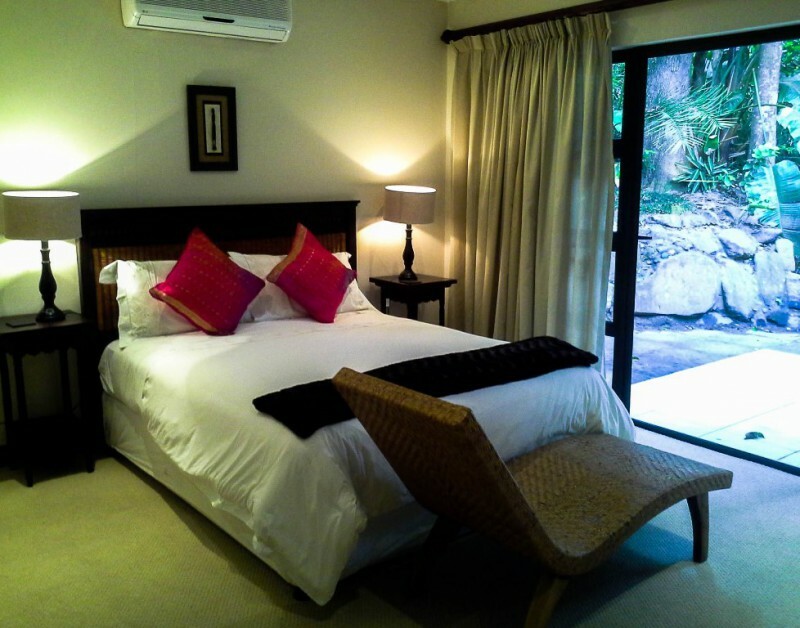 The third bedroom is decorated in dark wood with highlights of red, has a double bed, is en-suite and leads out of large glass doors to the garden area with rock pool.